1. Brown, Charlie Have You Heard The Gossip [alt. vers.] [unissued] uniss. 4. Brown, Charlie Boogie Woogie Mama [unissued] uniss. 6. Brown, Charlie Don't Put The Blame On Me [alt. vers.] [unissued] uniss. 7. Brown, Charlie Milkcow Blues Boogie [unissued] uniss. 8. 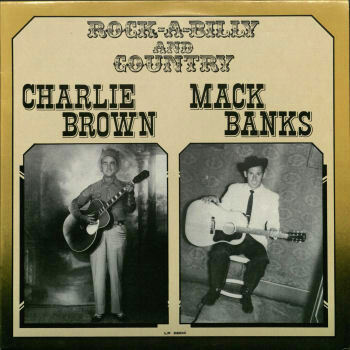 Banks, Mack Hound Dog [unissued] uniss. 9. Banks, Mack Be-Boppin' Daddy [alt. vers.] [unissued] uniss. 10. Banks, Mack They Don't Come In Droves Like Me [unissued] uniss. 11. Banks, Mack Mack's Boogie – (instr.) [unissued] uniss.